and beautiful bowls and chocolate from my roommate, who has impeccable taste. Special thanks to Liz for co-hosting a Betty Draper + Asian themed sunset picnic. Thanks to Max for bringing a foreigner all the way from the UK! And Kat, a very special thanks for taking pictures with me while your cheeks were stuffed with guacamole. 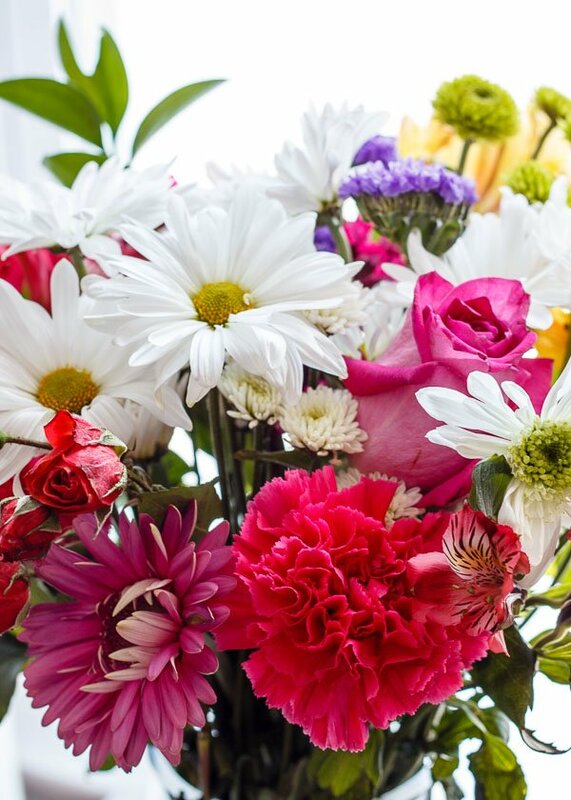 And of course, flowers from my mom! 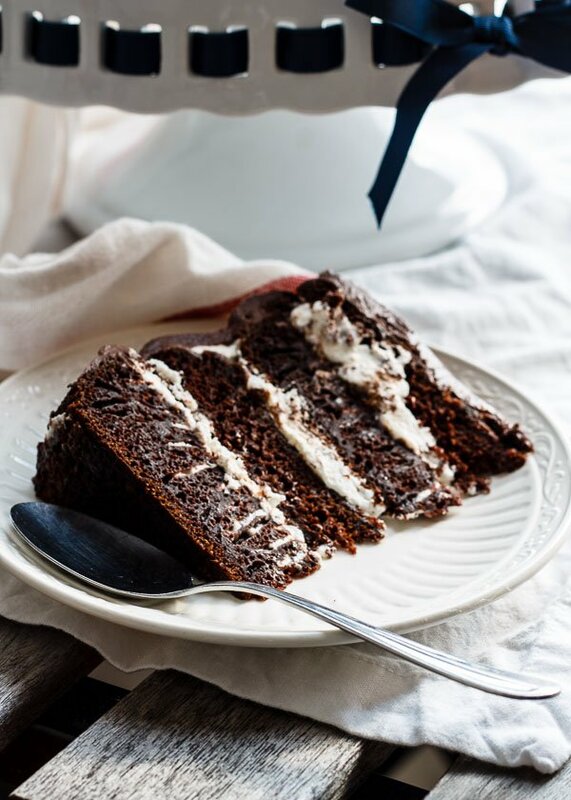 This chocolate cake has four layers flavored with Earl Grey tea, a copious amount of fresh whipped cream, and Earl Grey infused chocolate ganache. 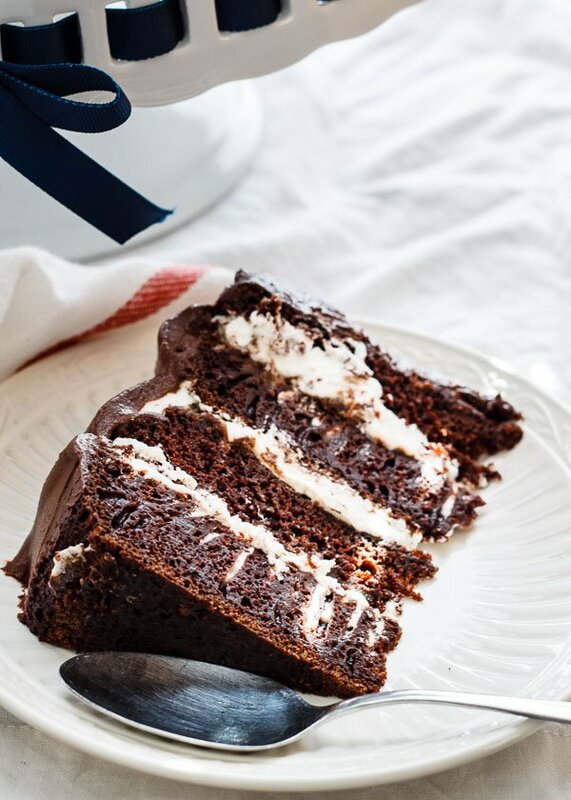 You could also spread ganache between the cake layers and frost the outside with whipped cream instead. It might be easier to cut that way. I know this now because my cake got a little smooshed when I cut it. Bake the chocolate cake in two 8-inch round pans for 30 minutes. Cool completely. 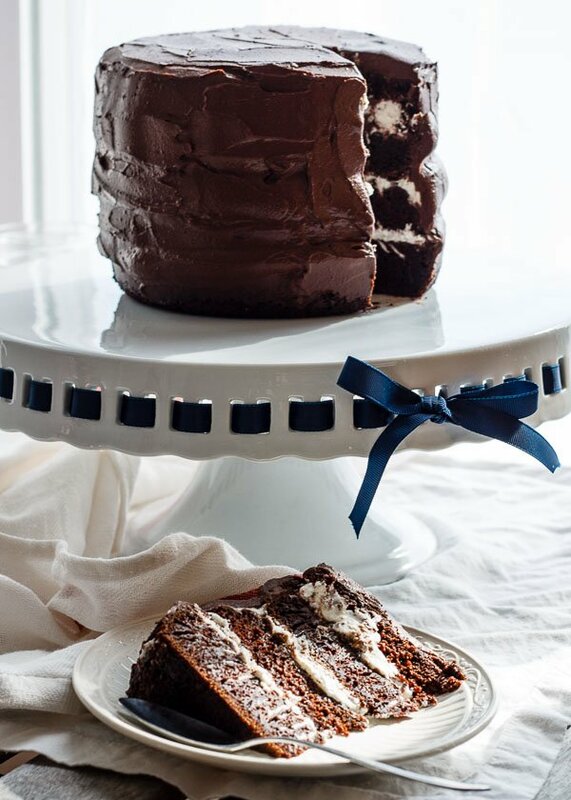 You can make the cake layers one day ahead of time. Chop chocolate and place in a medium heatproof bowl. Heat 1 cup cream in a small pot until barely simmering. Remove from heat and add 1 tablespoon Earl Grey tea. Steep for 5 minutes, then pour the cream over the chopped chocolate through a fine mesh sieve to remove the tea leaves. Whisk the cream and chocolate until smooth. Refrigerate the ganache for at least one hour. When ready to assemble, beat 1 cup very cold cream with cold maple syrup in a well-chilled bowl until stiff (Using a hand mixer, the beaters should leave ripples in the whipped cream and firm peaks when they are lifted out). Slice each cake layer in half and spread 1/3 of the whipped cream or ganache over each layer except for the top layer. Stack them and frost the entire cake with whipped cream or ganache, whichever one you did not use between the cake layers. Keep chilled until ready to serve.